The name of the restaurant sound's familiar. It came name from the bible Mark 6:41. 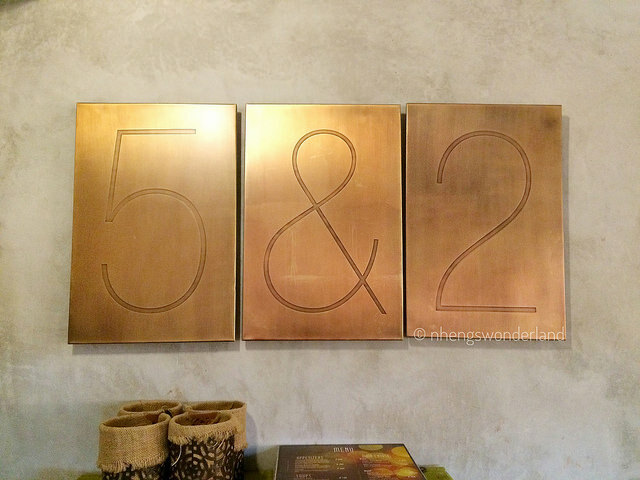 As soon as I entered their resto, I already felt a homey vibe. It is how the owners wants their customers to feel. Besides, all the dishes were the owner's specialty at their home. The design is a combination of charm and warm, modern and rustic. The design also shows elements of wood. They offer comfort food that is not only good for the heart, but also good for the soul. Yes, you heard me right, dishes here are all homemade by the owner Ms Dinah Grace. It was all leveled up by Chef Jay. I loved how they displayed the food during the launch. It came with different verses from the bible. Before the program started, the Lavosh was first served. According to Ms Dinah Grace, this is their banner or their bestselling item on their menu. She is really proud of this that she had won at the last Ultimate Taste Test 2011 presenting Lavosh. The Lavosh (Luh-vosh) P250, is an Armenian unleavened flat bread. It is a cracker, a thin crisp bread that originated in the Turkish region. Mostly used to scoop up food. a perfect appetizer to whet your appetite for a starter, best with our assortment of gourmet dips and spreads! 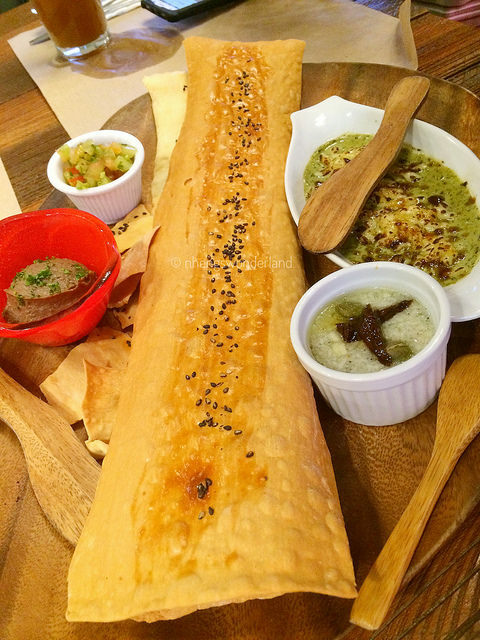 Their dips is consists of Chicken Liver Patee, Garlic Oil with Dulong, Pesto Brulee and Fresh Tomato Coriander Salsa. I love the Chicken Liver Patee on this bunch. The program started with a simple prayer from the owner. Ms Dinah Grace then introduced on how the 5 Loaves and Fish started. She remembered she was always an assistant of her mom from the kitchen. Moving forward, when she got married, her husband encouraged her to continue cooking and attend cooking classes. Even at parties she usually cooks and had the lavosh for the visitors. 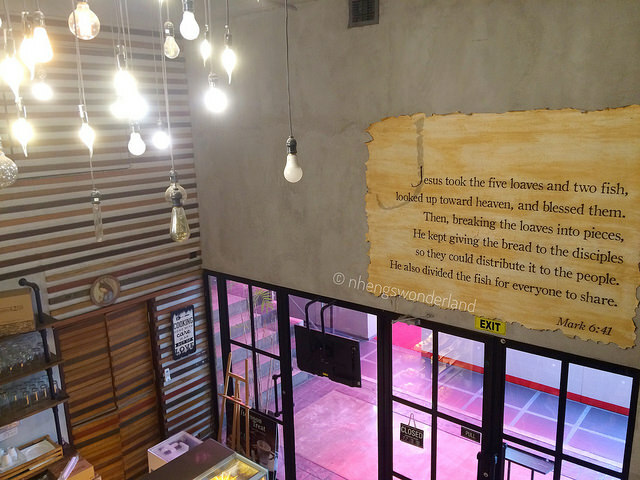 They first had a small cafeteria in Tiendesitas but lo and behold come July 2015 they finally have the 5 Loaves & 2 Fish. The name was not the initial plan, but when they tried to register their chosen name, it was already taken. 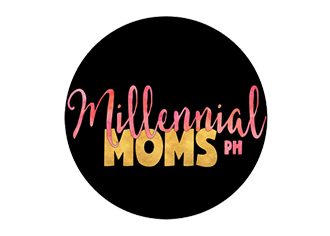 So she prayed hard for the name that will reflect their beliefs and something that will strike up a conversation. And it led her to the bible, John Chapter 6, Mark 6:41. Finally let me show the food that was served during the launch. High 5 Salad - To Share P265. 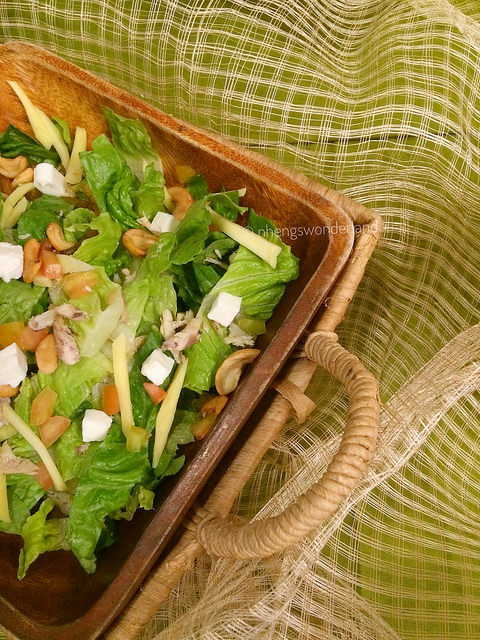 The intense sweet-sour flavor of balsamic-vinegar and guava puree lend a pleasant and unique taste to this medley of salad greens, sundried tomatoes, candied nuts, diced guava fruit, grated parmesan cheese. This is their Vongole Pasta P299. It is light yet tasteful. 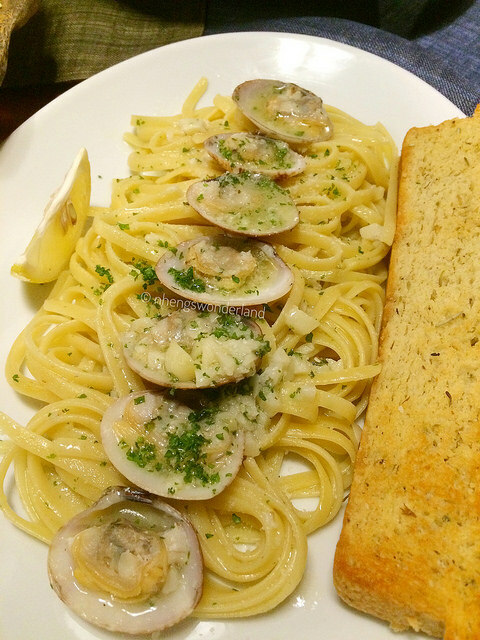 The clams are fresh and sauteed in garlic and extra virgin olive oil with white wine and a wedge of lemon. 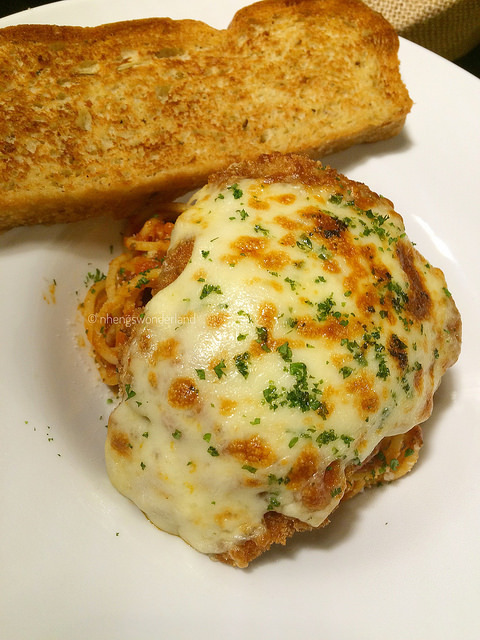 Right here is the Chicken Parmesan Spaghetti. Chicken fillet topped with mozarella cheese plus their house-blend tomato sauce. This is another favorite of mine. 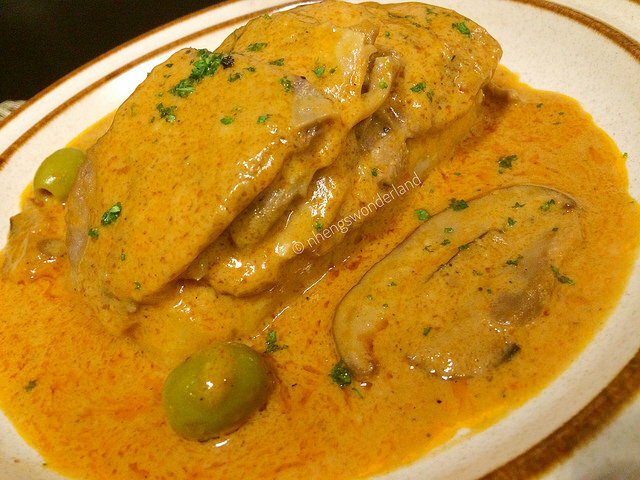 My first time to try Lengua Estofado! It was made from ox tongue and it was really delicious! So its not surprising that this is one of their bestseller. 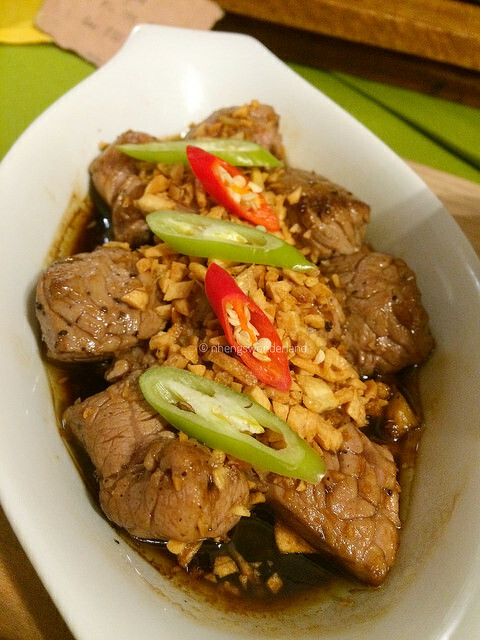 Their Salpicao P375 was really tender and tasty. Cubes of beef terderloin, overload garlic, cooked in olive oil and their house-blend seasoning. If you don't like salmon, you might think twice when you taste their Salmon with Four Cheese P385. 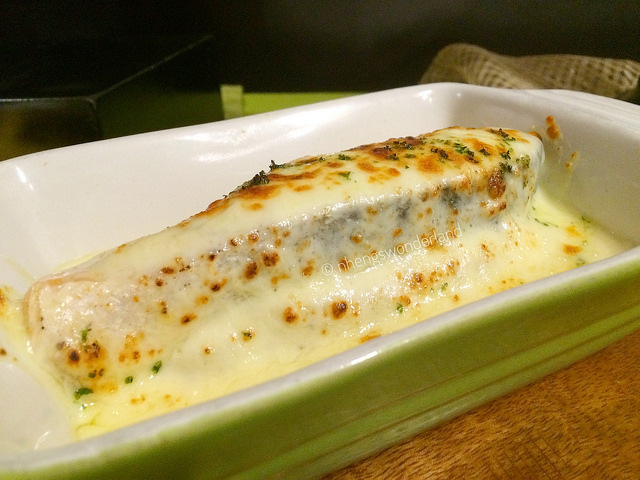 Fillet of baked salmon, topped with melted cheese on a bed of mashed potatoes. This is one of my favorites. 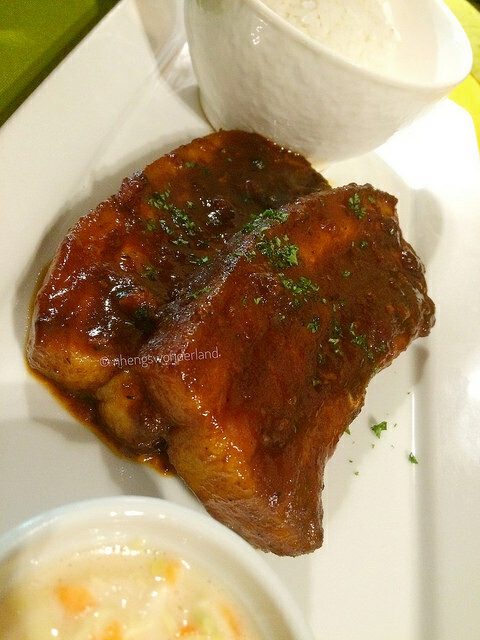 BBQ Spareribs P295 is a slow cooked spareribs marinated and glazed in their house-blended BBQ sauce. Served with steamed rice. 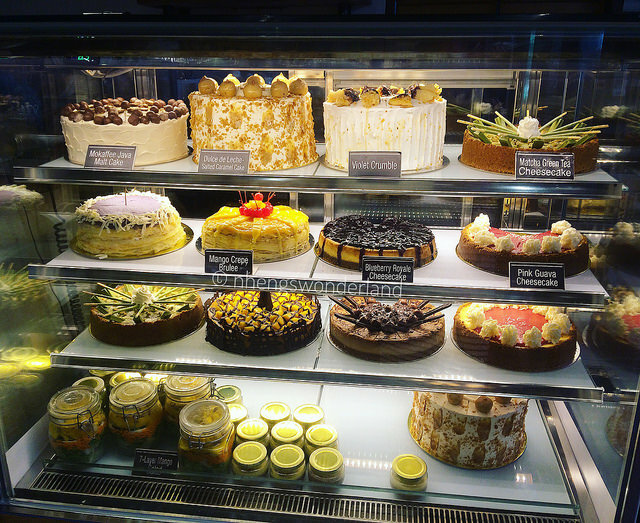 Our meal will not be complete without the desserts! The cakes are their specialty. I can guarantee you that this is the best thing ever! 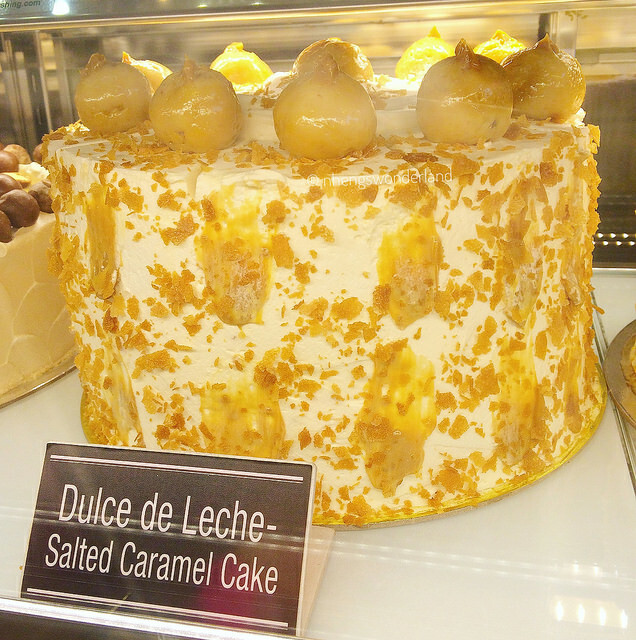 Aside from their not-so-sweet blueberry cheesecake, I also loved this Dulce De Leche Salted Caramel Cake. It is not too sweet but still you will crave for more! The Tablea cake was oozing with original tablea chocolate. The bitter taste is there and also the sweetness. 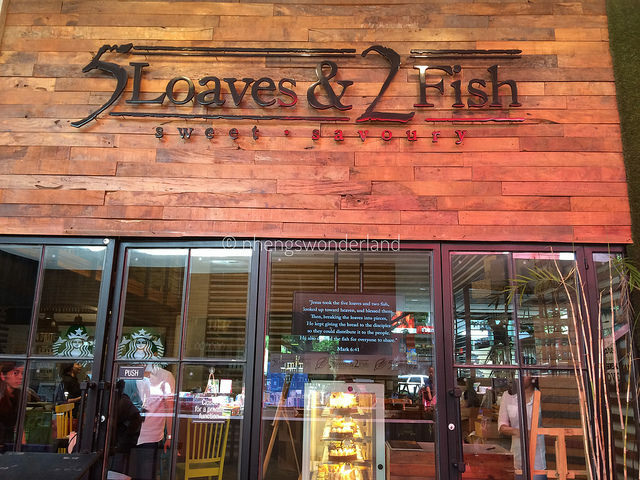 5 Loaves and 2 Fish highly supports LOKAL. 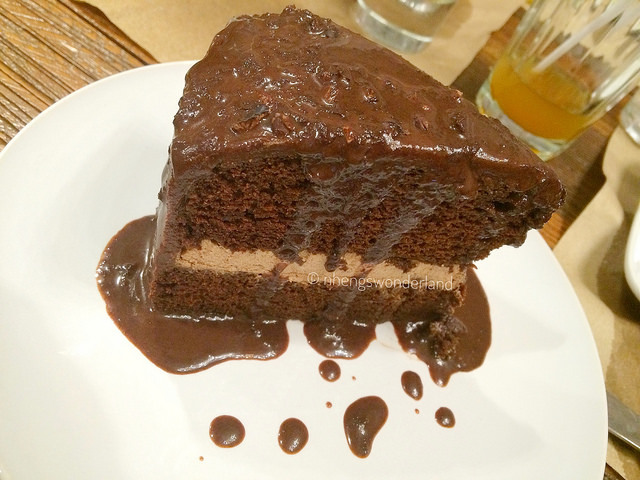 The cacao that is used for this cake originally comes from Davao. Did I mention that we also enjoyed an unlimited house-blend Ice Tea? It was also good! Looking at those dishes, don't you want to go to 5 Loaves and 2 Fish all of a sudden? 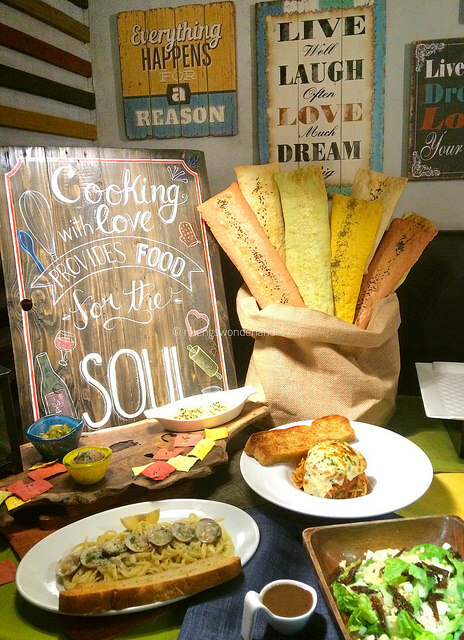 If you are looking for a comfort food that is good for the soul, hurry and visit their place. And this weekend they have a Father's Day Promo! Get free single glass of wine for every purchase of P1500 this weekend June 16-18, 2017! Check out their Facebook page for more details. 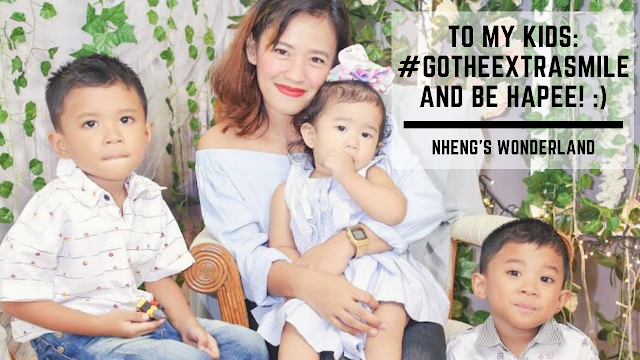 And don't forget to join my giveaway here, where you can win 1,5k worth of GC from 5 Loaves and 2 Fish! 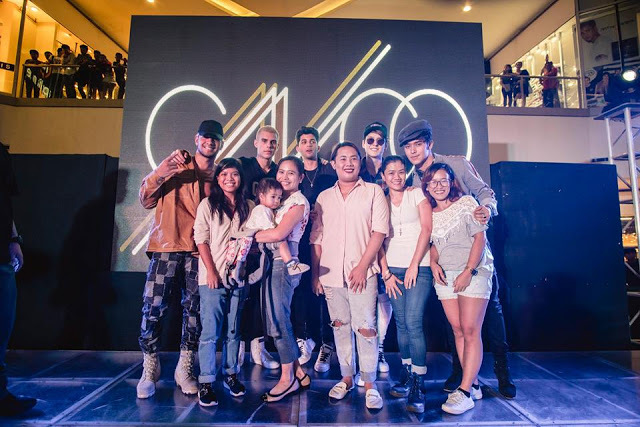 You can also watch the video here of the launch.